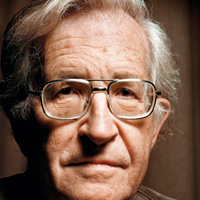 Noam Chomsky is Institute Professor and Professor of Linguistics (Emeritus) at the Massachusetts Institute of Technology, and the author of dozens of books on U.S. foreign policy. His most recent book is Who Rules the World? from Metropolitan Books. Noam Chomsky: Who Rules the World? Noam Chomsky: The Real ‘Grave Threat’ to World Peace Isn’t Iran—It’s the U.S.
Noam Chomsky: The End of History?